Woof. 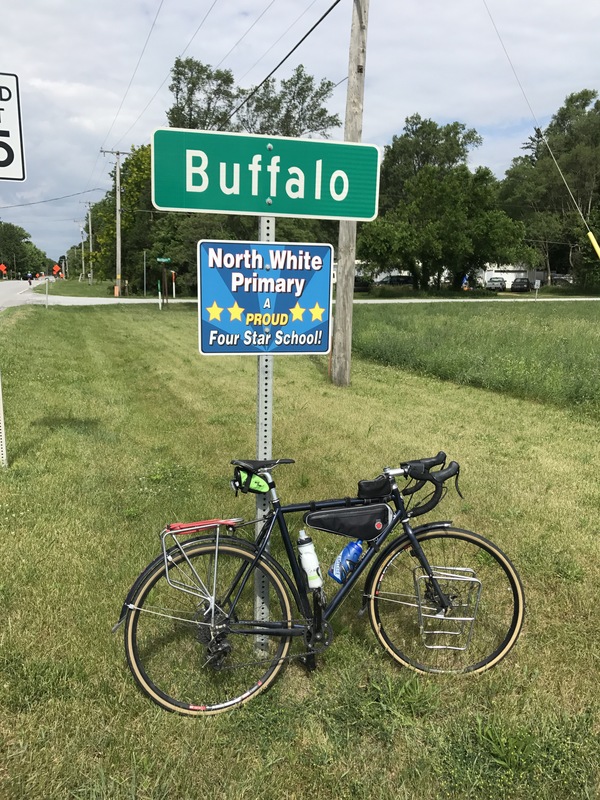 Another 90+ miles of hot and windy today… legs are heavy. 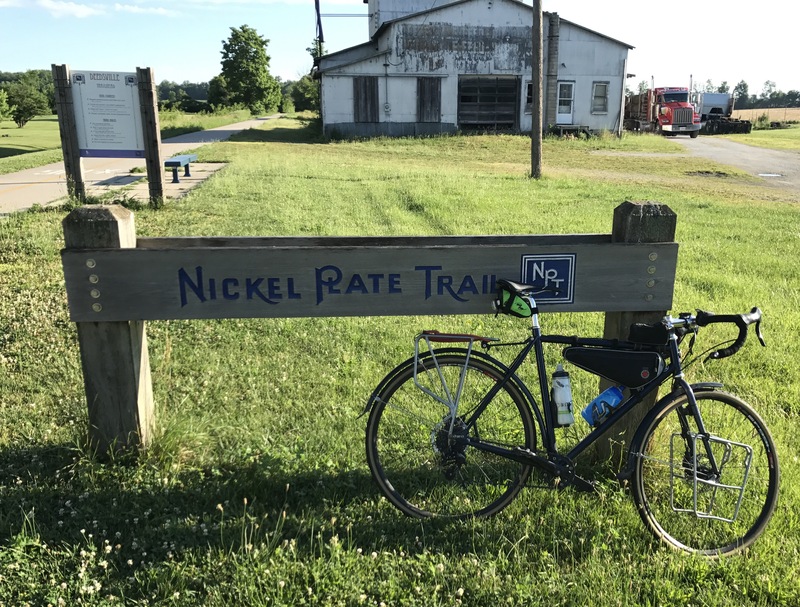 Started on a very nice rail trail (Nickel Plate Trail) and then on to Buffalo, IN. Encountered a train and more grain elevators. Thorn: where my clifbars at?